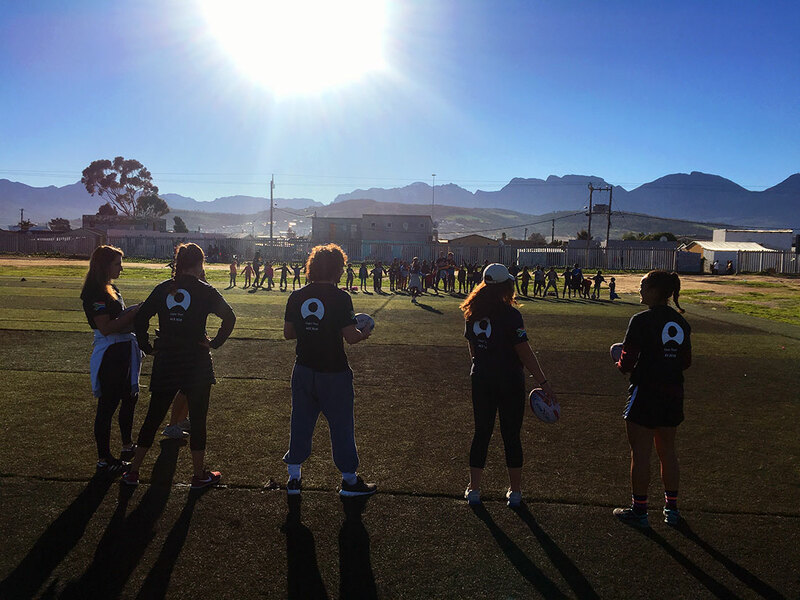 Callie Humphrey shared in her final blog post that goodbyes are usually easy for her, but something felt different when she reached the end of her three-week immersive service experience in South Africa this past summer. There was something about her three weeks in the informal community of Nomzamo Township near Gordon’s Bay that she didn’t want to leave. Alongside nine other Duke and Stanford student-athletes, Humphrey spent two of those three weeks leading a student holiday sports and education camp at ACJ Phakade Primary School. 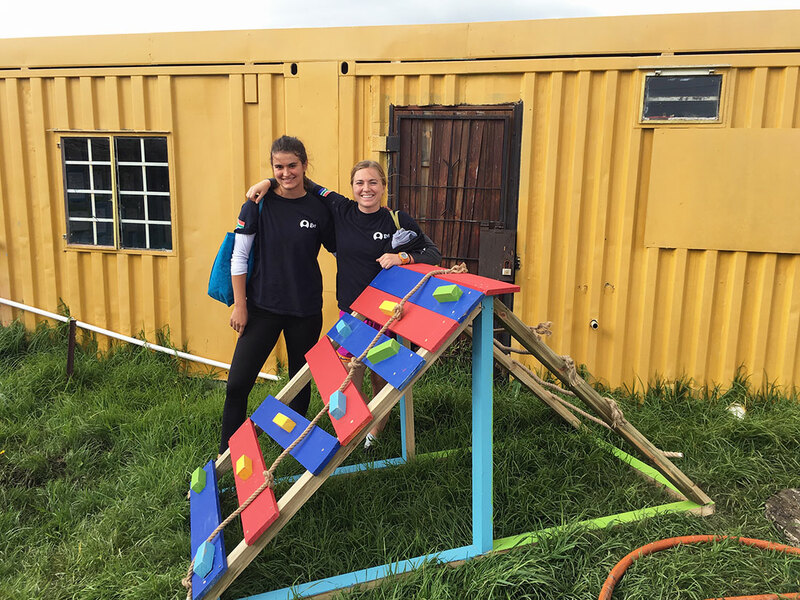 In addition to planning and leading the camp, Humphrey and her fellow ACE student-athletes also taught women in the community basic computer skills as part of on-going women’s empowerment initiative and designed and constructed playground equipment that provided daily play access for ninety children at a local crèche (a school for young children). The relationships and combined tenacity of the student-athletes, schoolchildren, and GVI staff ultimately paid off, with the holiday camp participation increasing from previous years to a total of 70 students on most days. Moments like these made it difficult for student-athletes like Callie to say goodbye. However, Max Feldman, Duke Men’s Soccer reflected on his plan to make these moments last. He wrote, “Cherish your moment but bring that moment back to Duke or Stanford and make it last. 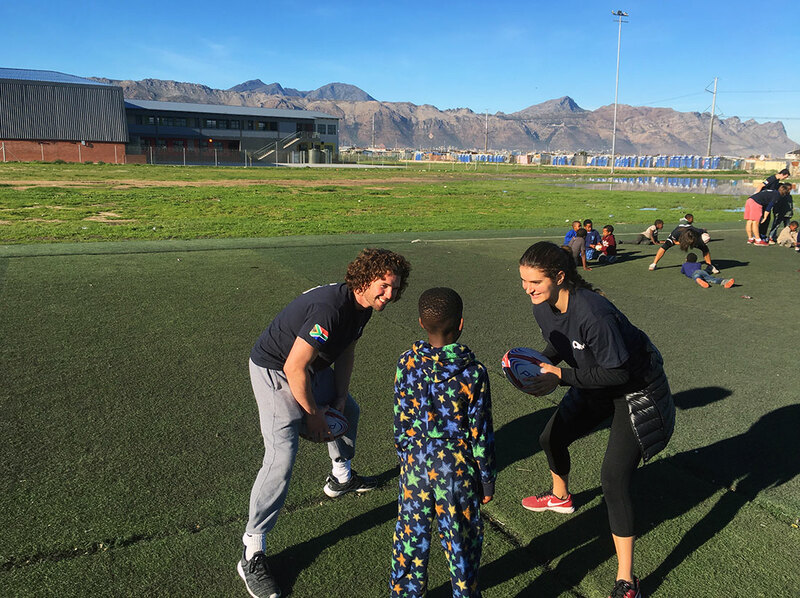 Talk about it whenever you can and keep hanging onto it and bring in others to experience some of your moment.” So while Callie and the nine other ACE student-athletes couldn’t stay in South Africa forever, they can let these moments and memories transform them back on campus.